Exporter of a wide range of products which include used refrigeration compressors and used carrier compressors. We are backed by our expertise in this domain, we offer our valued customers Used Refrigeration Compressors. These compressors are known for offering to provide superior cooling in extreme weather conditions. These are engineered using the best possible raw materials. These refrigeration compressors are used in various applications ranging from different duties of high to low temperature in broad applications. 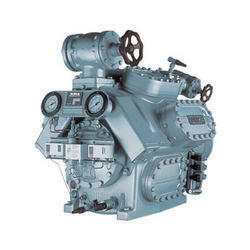 Gained by the years of industry experience, we offer our precious clients with quality-assured Used Carrier Compressors. Our ranges of compressors are made in accordance with all industrial quality standards and meet the diverse requirements of our clients. 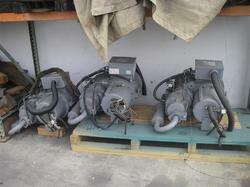 We offer these compressors to our valued clients at market leading prices. Owing to the qualitative results these carriers are mainly used in chemical, petrochemical, automotive, glass making and many allied industries.